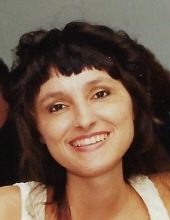 Deborah Anne Krebs, 52, passed away early Monday morning, October 8, 2018 at home in Stillwater, Oklahoma. Funeral service will be held on Friday, October 12, 2018 at 6:00pm at LifePoint Church, 9404 South Perkins, Perkins, Oklahoma. Visitation will be held on Thursday, October 11, 2018 from 12:00noon to 8:00pm, with family greeting guests from 6:00pm to 8:00pm and on Friday, October 12, 2018 from 8:00am to 3:00pm at the funeral home. Arrangements are under the care of Dighton-Marler Funeral Home of Stillwater. Deborah was born September 3, 1966 in Shawnee, Oklahoma. She was the second child of The Reverend Samuel and Delores Murray. She attended Oklahoma State University where she met Karl Krebs, her husband of 28 years. They have two sons; Quinn and Hayden. Deborah was diagnosed with Muscular Dystrophy at the age of two, her family was told she wouldn’t live past eight. Her father and grandfather, both ministers prayed for her to live so she did. Drs moved her life expectancy several times until they quit trying. They told her not to have children, so she had two healthy boys. They told her not to fly and take things easy, so she walked the Camino de Santiago, a 500 miles trek across Spain in her wheelchair with her husband and sons. Everyone who knew her, said nothing got her down. Her smile was infectious, and she made people believe they could do anything. When they got married she made a deal with Karl, he would do the physical, she the mental. This pact served them well their whole lives, he carried her, she remembered everything, for an example: where the remote was and what he liked to eat at each restaurant. Travelling with her family was her passion. She didn’t care where as long as they were together. Deb visited 48 states, Italy, France, Spain, Canada, and Mexico all from a wheelchair. Nothing stopped her. She owned and operated the Book Nook in Stillwater for over 20 years. Deborah is predeceased by her grandparents, Jimmy and Louise Fairchild and Lewis and Thelma Murray. She is survived by a heartbroken husband, Karl Krebs and two sons, Quinn Player and Hayden Alan. Also her loving parents, Samuel and Delores Murray of Williston North Dakota; brothers, Timothy and wife Michelle of Ponca City, Oklahoma; Samuel II and wife Cathy of Manhattan, New York; Benjamin and wife, Krystal Gose of Fort Mill, South Carolina; many aunts and uncles, cousins, nieces, and nephews and more friends that will miss her than can be counted, especially Josephine Buchannan of Stillwater, Oklahoma and Sherry Maroutsous of Perkins, Oklahoma. As her husband said many times, “She makes me a better person.” We love you babe. Memorial donations can be made in Deborah’s name to Muscular Dystrophy Association in c/o Dighton-Marler Funeral Home, 5106 North Washington, Stillwater, OK 74075. To send flowers or a remembrance gift to the family of Deborah Anne Krebs, please visit our Tribute Store. Family greeting guests from 6:00pm to 8:00pm. "Email Address" would like to share the life celebration of Deborah Anne Krebs. Click on the "link" to go to share a favorite memory or leave a condolence message for the family.